And there he is, just on the opposite bank, staring at you, eight feet tall. Mantis Man–trying to give the Jersey Devil a run for it as the Official Haint of our state. My money’s on the Jersey Devil, who’s been at it since the 1700s. But don’t count Mantis Man out. He’s coming on strong. This is, why do people tell these stories? Why do so many people tell them? 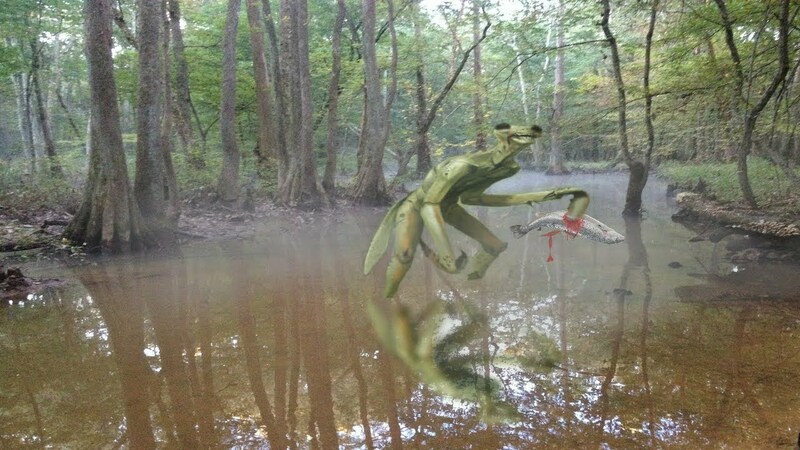 This entry was posted on Friday, October 5th, 2018 at 10:36 am	and tagged with jersey devil, modern myths and legends, New Jersey Mantis Man, urban legends, Weird N.J. and posted in Pop Culture, strange events. You can follow any responses to this entry through the RSS 2.0 feed. Think I’ve done it again. Trembling is really bad and breathing and weakness are right up there. Time to give it a rest. Praying for you now, Linda. New Jersey has been declared the most stressed out State in the Union, beating out New York even. Maybe that’s why people in the Garden State think they are seeing things that aren’t really there – they are stressed out. That must be why it’s been feeling like New York lately. You wouldn’t believe what a beautiful state this used to be. Feels like I must’ve only dreamed it. I’ve often wondered why people come up with this nonsense, but it seems to be happening more often, these days. A guess is that it’s an escape from reality. That, plus the paintings of Charles R. Knight. I love the things Lee comes up with, but he doesn’t try to convince people that they are of the real world. Some of ’em used to be. There’s also the Goat Man, Moth Man, Kappa (Japanese turtle-like man-shaped monster with a beak that lives in water)… Totally RIDICULOUS!!! I’ll have more to say about this, if I get the chance today.